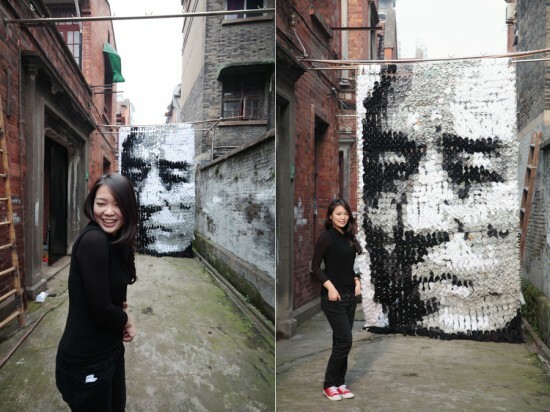 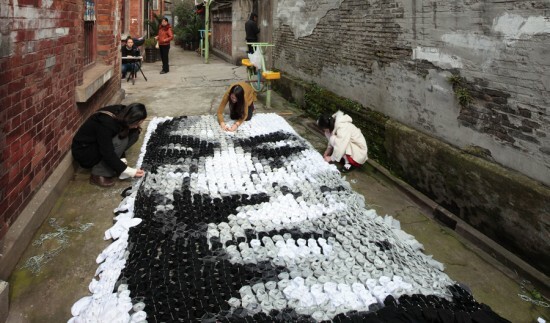 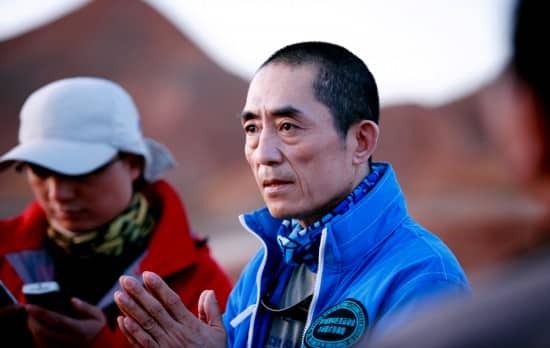 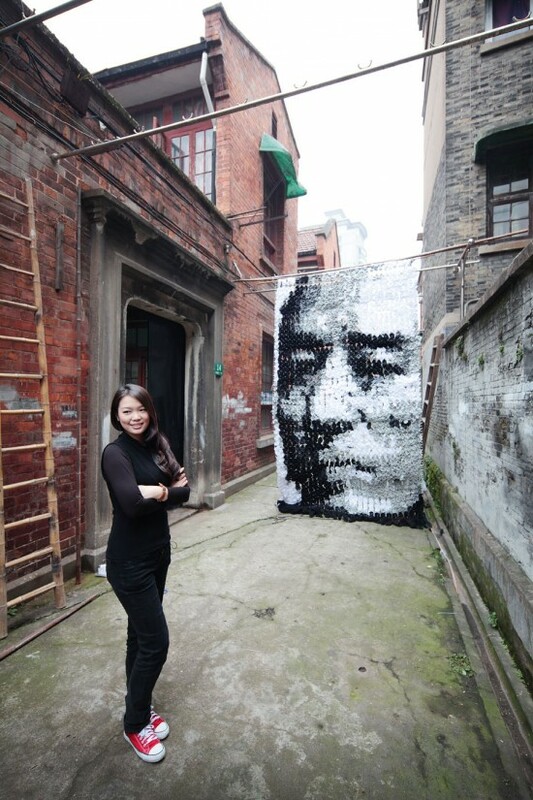 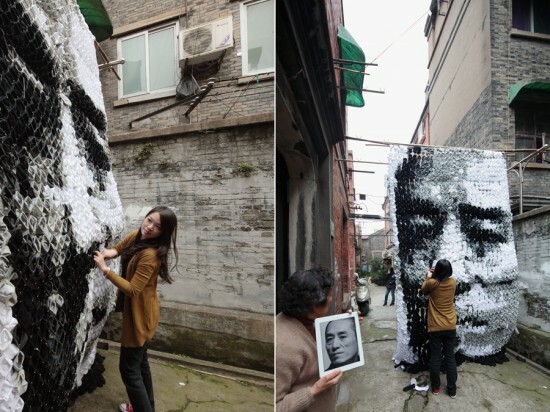 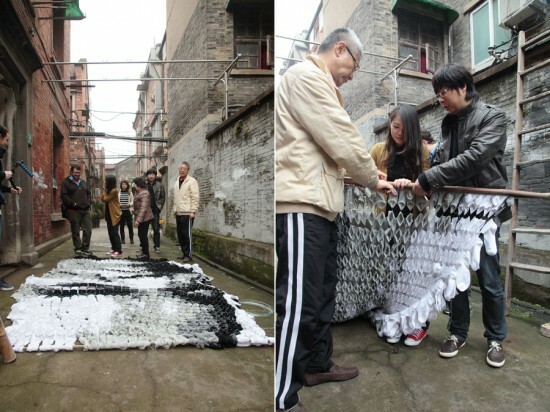 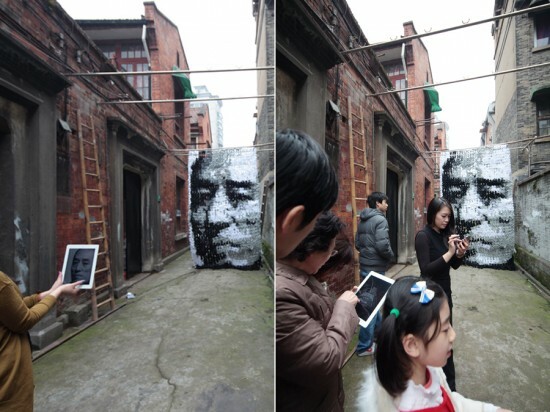 Home » Zhang Yimou Portrait Made of… Socks? 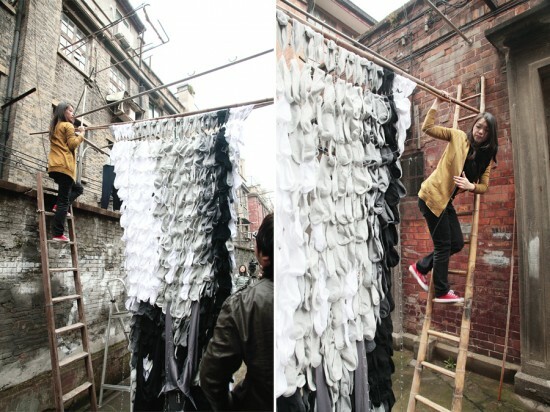 Below you can observe the development of Red’s design, which took three weeks to assemble before being displayed in an alleyway in Shanghai for all to see. 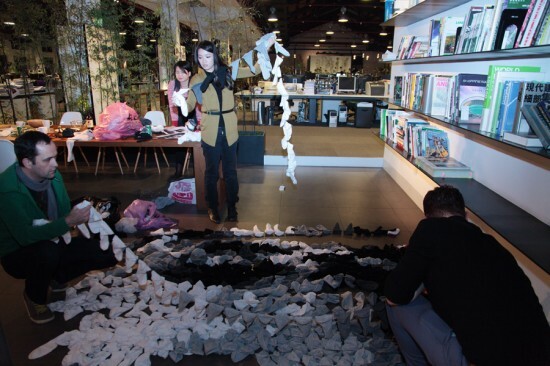 You may also wish to visit her official blog and portfolio to see more of her amazing, award-winning works.